Seniors play poker at Sanford Activity and Dining Center in Midland. In 2016, the Otsego County Commission On Aging (OCCOA) piloted the CommunO2 SuperApp, a new online platform designed to help reconnect seniors to their communities. With a modest goal of reaching 300 older adults over six months, the program attracted 1,800 registered end users, as well as 14 partner organizations, within four months. One of those users is a homebound woman with multiple sclerosis who can now participate in her church remotely. Another is an assisted living center resident who reconnected with her sister abroad after 15 years and now video chats regularly with her through the app. Betty (in pink) connects with her sister in the “old country” using CommunO2 with the help of Mary, a retired senior volunteer in Otsego County. Betty had not seen her sister in about 15 years. "Some of these things were seemingly small leaps in quality of life, but when folks were reflecting that it truly made a difference in their lives, we knew we were onto something that we wanted to expand," says OCCOA executive director Dona Wishart. 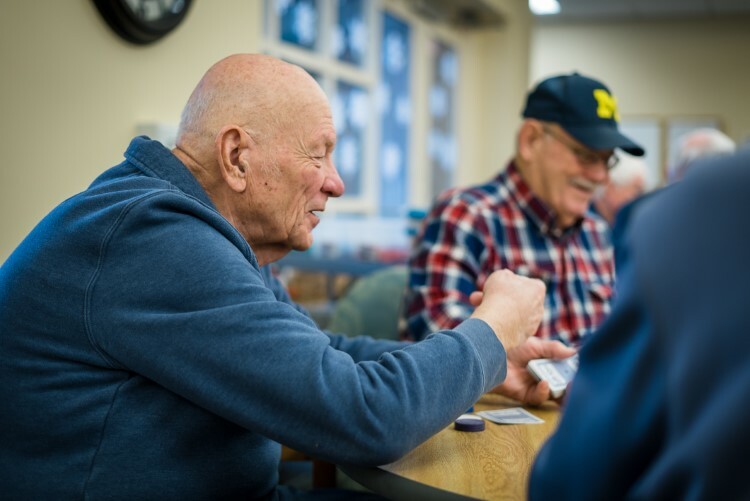 Studies have shown that social isolation and loneliness can have serious negative impacts on older adults' health, and many resources and programs already exist in Michigan to address isolation among seniors. But Stephanie Leibfritz, community health manager at MidMichigan Medical Center-Midland, says many residents don't know how serious isolation can be or where to look for help. "There's really a lack of knowledge about loneliness and social isolation as a social determinant of health," Leibfritz says. "It does impact a significant number of aging adults." However, new and ongoing efforts around the state are working to promote healthy aging by connecting older adults to their communities and the resources available to them. Developed by Minneapolis-area entrepreneur Joel Ackerman, CommunO2 is an online platform designed to help users connect with friends and family, as well as local services, arts and cultural organizations, government offices, faith centers, and more through one central, streamlined interface. Joel Ackerman. While there's no shortage of online communication apps today, Ackerman says those apps don't necessarily work well together, provide one community standard for users, or offer much technical support. "That's a very complex environment, especially for novice users, people who may not have grown up with current technologies," he says. Wishart first learned about the platform Ackerman was developing more than 10 years ago and saw the potential it had for linking people not only to their own social network, but also plugging them back into their community and its resources. She told him: "When you're ready for pilot testing, consider Otsego County, and let's see if we can move this forward to diminish social isolation in a new way." This year, OCCOA and CommunO2 will expand the effort with a two-year pilot funded by a Michigan Health Endowment Fund grant. Work will continue in Otsego County and also extend to Traverse City and Flint with the help of local partners the Area Agency on Aging of Northwest Michigan and Valley Area Agency on Aging. 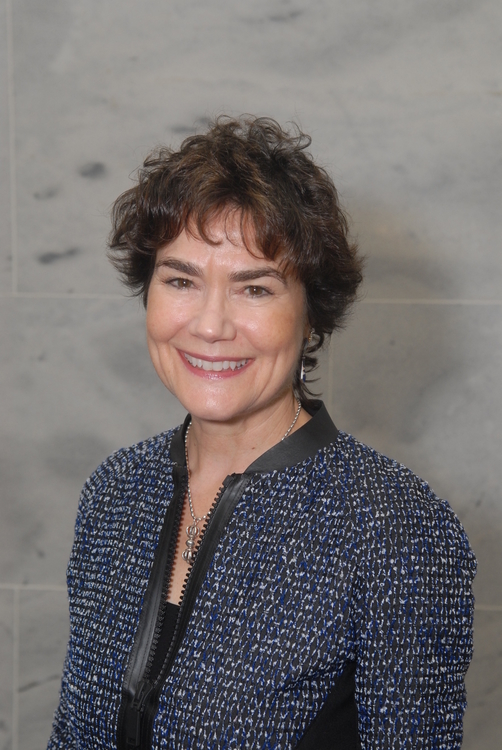 Dona Wishart.The expanded pilot will also work with Michigan State University's School of Social Work to measure outcomes and social determinants of health. Organizers hope to reach 5,000 end users by the end of the pilot and 28,000 users by 2025. As the population continues to age, Wishart says a shortage of direct care workers also presents a challenge. She hopes efforts like CommunO2 can help make the connection between OCCOA's many resources and the older adults they serve. "We are going to need to provide services in a new way, and some of that can indeed be through technology," she says. "We just have to work to figure it out carefully. … We have to be willing to take on some risks for innovation, and we need to find some new creative solutions to add quality and meaning to life." In Midland, a new partnership between MidMichigan Health Foundation, Senior Services of Midland County, and Michigan 211 is forming to raise awareness of the negative health effects of social isolation for older adults. That program, called Bridge to Belonging: Partnership to End Loneliness, will also connect seniors in need to local services. Leibfritz is leading the new effort along with Katherine Dollard, director of behavioral health for MidMichigan Health. Starting with a basic survey given at the medical center's offices, staff will determine what services seniors could benefit from and refer them to services through 211, which connects Michiganders to nonprofit and government resources. 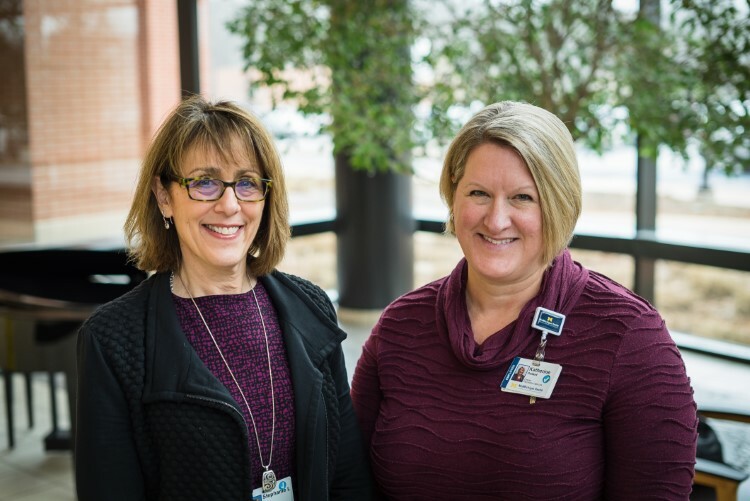 Stephanie Leibfritz, community health manager at MidMichigan Medical Center-Midland, and Katherine Dollard, director of behavioral health for MidMichigan Health. The goal is to increase connections, enhance social support, and improve social skills for older adults in the region. Individuals with psychological or social barriers that can lead to chronic loneliness will be referred to a staff behavioral therapist for counseling. The program is starting in a few practices and the emergency room at MidMichigan Health Center-Midland, but the goal is to provide screenings throughout the MidMichigan Health system. MidMichigan Health serves more than 20 counties in mid- and northern Michigan. In addition to screenings, triage, and referrals, Bridge to Belonging will launch an education and awareness campaign on the health effects of loneliness and the need to reach out to family and friends considered at risk. Leibfritz hopes the program will not only intervene on behalf of seniors in need but also help prevent isolation to begin with. "It's really a change in the care model in the health system, to be able to work on prevention versus treatment," she says. "In my mind, that's huge." This year in Washtenaw County, another unique new partnership will launch Intergenerational Solutions for Healthy Aging, a pilot program that connects seniors to members of the next generation. Working in teams, Washtenaw County Girl Scouts and older adults will examine issues and resources like transportation, access to healthy food, home visit programs, and lifelong learning opportunities in the Ann Arbor and Ypsilanti area. They'll then design and implement programs to address seniors' needs, with the additional aim of introducing a new generation to career opportunities in the fields of aging and health. 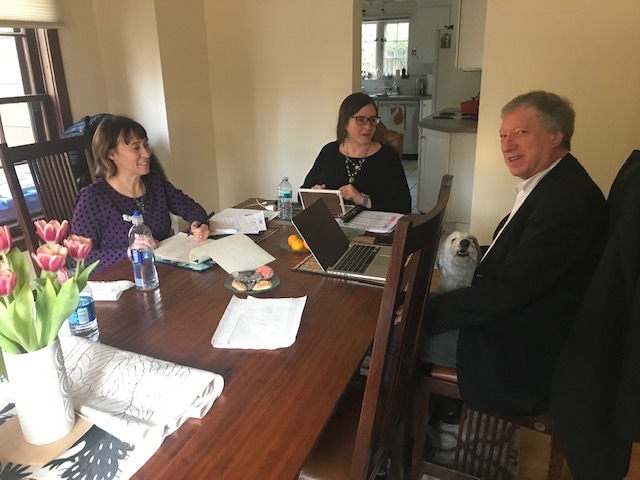 The program is a collaboration between Washington, D.C.-based nonprofit Generations United (GU); GU's newly formed Michigan team, led by Ann Arbor resident and GU senior fellow Bruce Astrein; Girl Scouts Heart of Michigan; and a senior organization partner to be determined. "When you think about social isolation, the two groups that report feeling the most isolated are younger people and older people, so to work together to try and address what's causing people to feel so isolated and what's preventing them from connecting, we think it's just a win-win-win way of approaching it," says GU executive director Donna Butts. If it goes well, the plan is to replicate the program with other youth service organizations and senior groups in neighboring counties and, eventually, across the state. Astrein, who has a long history of working with children, families, and poverty, was inspired by past successes he'd seen with intergenerational programming. He pitched the idea to GU, which was founded in the late '80s in response to what Astrein calls the "false dichotomy" that young people and older people were taking resources away from each other. 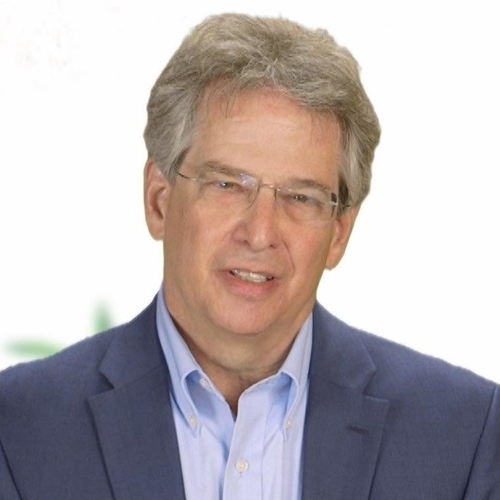 "Rather than get drawn into that argument, there are ways to think about this where we could work collectively and benefit young and old with smart policies and smart programs, and it's not about pitting one against the other," Astrein says. Astrein was also troubled by seeing family programs like the ones he had built over his career being undermined and underfunded in recent years. "Having spent a lifetime working on these programs, it was difficult to sit by and not want to help advance them," he says. MidMichigan Health photos by Ben Tierney.